I have finally found enough spare time to take pictures of my last summer projects. 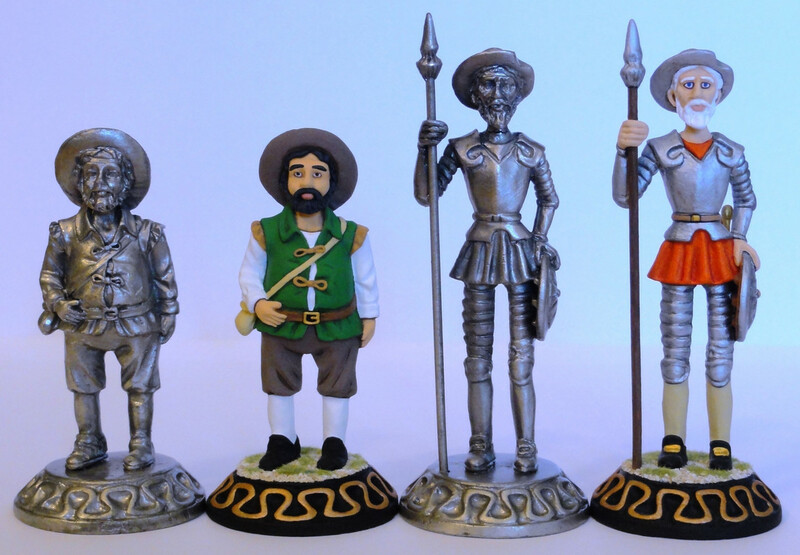 The first one includes two figures in roughly 54mm scale I bought some years ago in a souvenirs shop located in the Plaza Mayor of Madrid (a very well known monumental place of my city that this year celebrates its four hundredth anniversary). Although the figures are pure tourist souvenirs (probably made in China), when I saw them I thought they had potential, that's why I bought them. 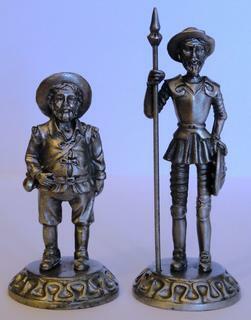 They represent the main characters of one of the greatest works of universal literature, El ingenioso hidalgo Don Quixote de la Mancha, from the great writer of the Spanish Golden Age (XVI and XVII centuries) Miguel de Cervantes Saavedra. 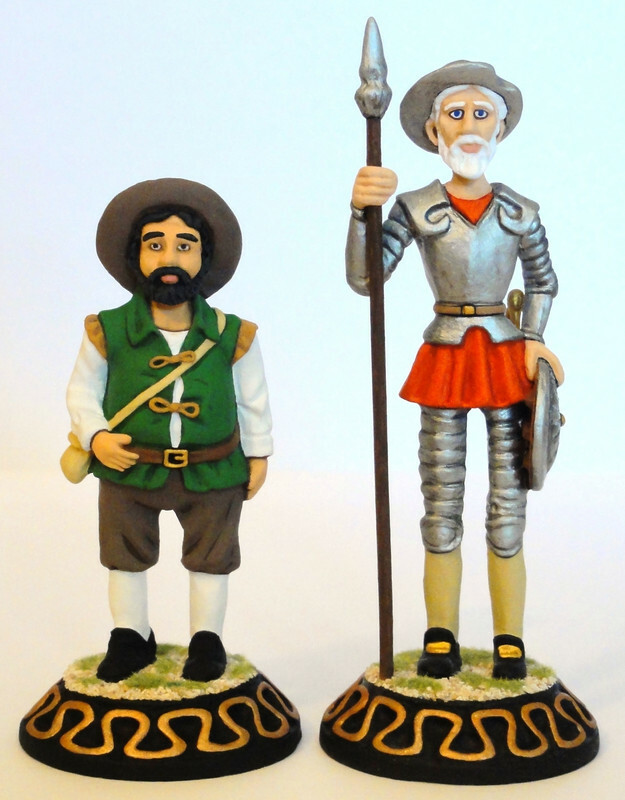 They are Don Quixote himself and his faithful squire Sancho Panza. 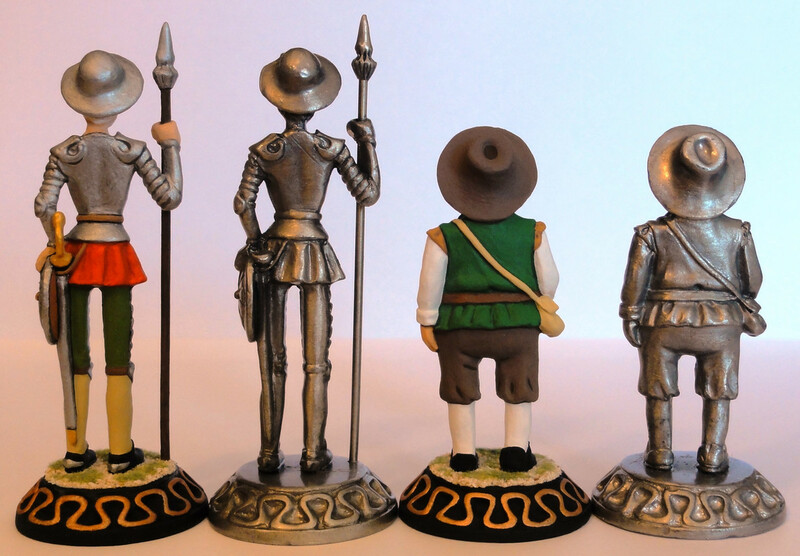 I have another painted figure of Don Quixote and two more unpainted figures of both characters. If someone is interested in acquiring them, please email me. My best wishes to all. 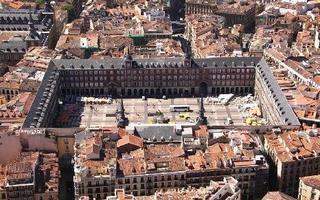 another great work by Santi! That looks like a proper Don Quixote to me because his piercing blue eyes look just like Peter O'Toole's. 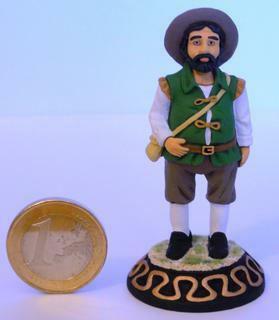 And the Sancho Panza figure is just wonderful. Splendid painting on these noble characters. Giants Beware! 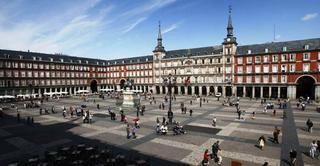 Typical Santi Perez painting. You see it, you know the painter. Really cool job on these special figz. To paint them in a very clean way fits well, imho. 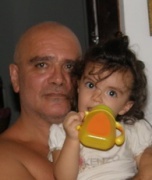 Thank you very much for your kind comments, Mr. Andrea, Graeme, Wiking and MABO, my dear and admired colleagues. I feel proud you like my work...once again. 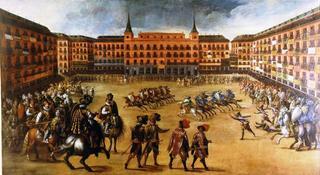 Wiking wrote: Typical Santi Perez painting. You see it, you know the painter. Wiking, I'm happy that my figures serve as a letter of introduction to its author. Graeme wrote: That looks like a proper Don Quixote to me because his piercing blue eyes look just like Peter O'Toole's. 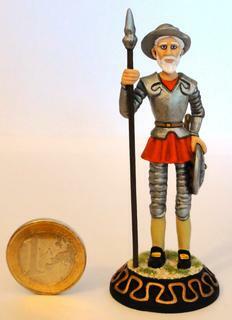 And the Sancho Panza figure is just wonderful. 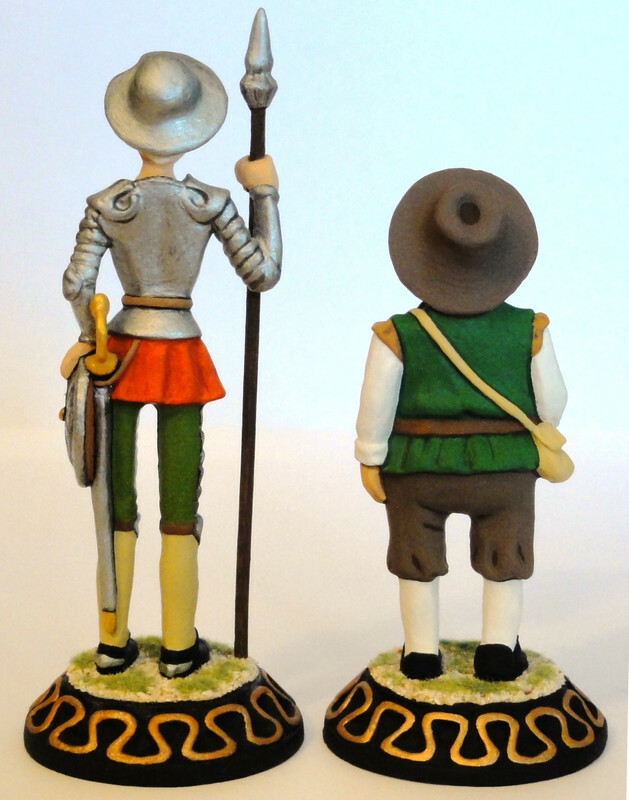 Graeme, I also remembered Peter O'Toole in the role of Don Quixote when I was planning how to paint the figures. I wanted him to look like a noble and venerable knight and this fit with O'Toole's appearance in the movie "Man of La Mancha". 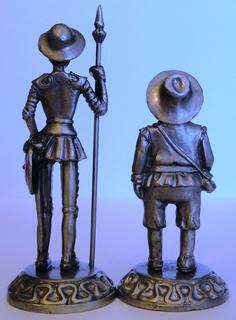 On the opposite, I wished to give Sancho Panza the appearance of a simple man more concerned with mundane things than with the nobility of chivalry. First I thought it was the figures from Nikolai, but that doesn't matter. Very great and I agree with Wiking! You see, Susofrick, the scale doesn't matter ... 15, 20, 25 or 54 mm ... if I paint them, they all bear the Santi brand, hahaha. Thanks, Susofrick and BB, dear mates. Thank you very much, Kostis. You know that I highly appreciate your opinion about my works and it's always a pleasure to read so kind words from you. 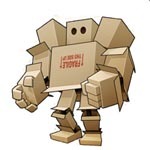 I like this cartoonish style of painting! You did a great job on both Santi! Peter wrote: I like this cartoonish style of painting! You did a great job on both Santi! Thank you very much, Peter. I think I've already become famous in this forum due to that cartoonish style of painting my figures in any scale (20, 30 or 54mm). I feel proud to be inmediatily identified by it, hahaha.